Laser Hair Removal is a time-tested treatment that has been proven to reduce hair growth in a treated area up to 85%. Eliminate tweezing, waxing and shaving — for good! At New Image we recommend at least five treatments, performed every 6-8 weeks, for our clients to experience the best results. For clients with more extensive hair growth, additional treatments may be required. No hair removal treatment can destroy all hair follicles; laser hair removal is FDA-approved for an 80 to 85% reduction in hair growth. Any practice that is promising to eliminate all of your hair for good isn’t being honest with you. Why Laser Hair Removal with New Image? 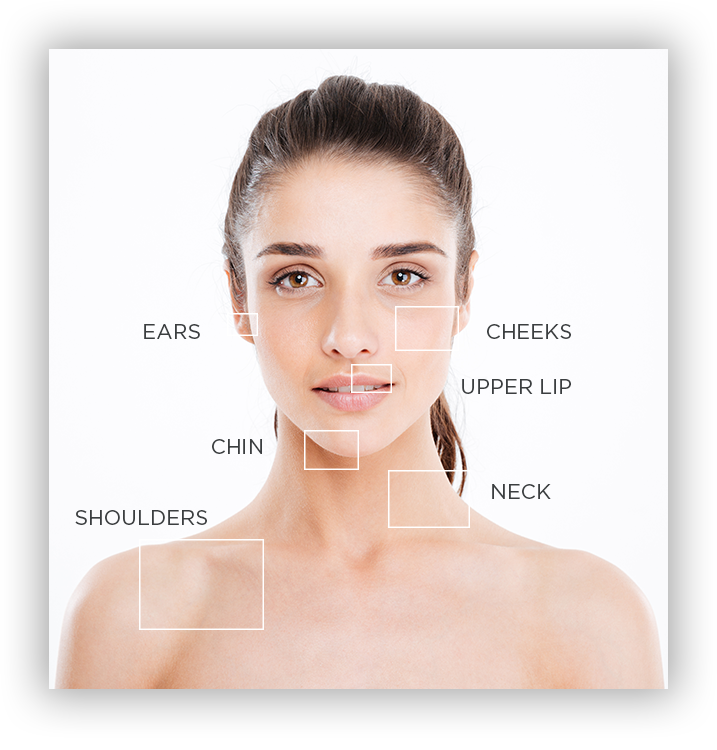 At New Image, we use the latest technology that has been proven to provide better results and minimize, if not eliminate, discomfort associated with the treatment on all areas with the exception of the face. 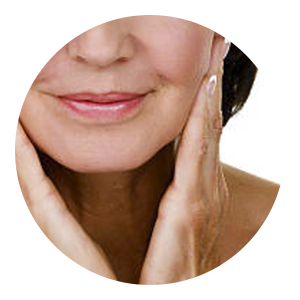 Dr. Madsen performs these treatments and has been trained to deliver the most effective results. Appointment lengths vary depending on the size of the area(s) being treated. They can be as quick as 15 minutes. New Image uses the latest technology that has proven to reduce, and for some clients eliminate, the discomfort felt during treatment on the body. Many clients report facial treatments to feel similar to a rubber band snap. The laser used for hair removal treatments works by following hair down to the active follicle and disabling it. In the days and weeks following treatment, the hair will be pushed out of the skin. Once a follicle is eliminated it cannot regrow hair, but because only about ¼ of hair follicles are active for each treatment, it takes multiple treatments to target and eliminate them as they become active in the growth stage. Many clients often return for booster treatments after the initial five as new follicles become active. No hair removal treatment can destroy all hair follicles; laser hair removal is FDA-approved for an 80 to 85% reduction in hair growth. Any practice that is promising to eliminate all of your hair for good isn’t being honest with you. With each hair treatment, clients often see a 50% reduction in hair growth, but results vary per client. After receiving five treatments every 6 weeks most clients experience the full result of the treatment, seeing an 80 to 85% reduction in the overall hair growth. No hair removal treatment can destroy all hair follicles; laser hair removal is FDA-approved for an 80 to 85% reduction in hair growth. If you have a tattoo in the area you’d like to be treated you may not be a candidate for Laser Hair Removal. There are multiple kinds of lasers than can be used for hair removal, but clients with very dark or black tattoos risk serious burn since the lasers are designed to target and eliminate dark color (typically hair). There is also a chance that lighter colors within a tattoo could change as a result of laser treatment. New Image uses multiple kinds of laser to treat unwanted hair but often the treatments are best suited for clients with darker hair. 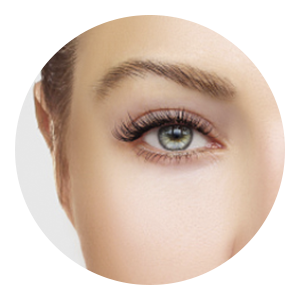 The laser is attracted to darker colors and will follow the hair down into the follicle to disable it. Clients with blonde, red, gray or white hair will not benefit from receiving treatment. I feel as though I owe you so much for giving me the freedom to love my life in a different light. You have changed my life. Are you ready to book your consultation and learn more about what Laser Hair Removal can do for you?